This post may contain affiliate links. For more information, see my disclosures. How would you feel if you could pay for a new refrigerator, car insurance deductible or new cell phone (gasp!) without worrying about how to pay for it? Pretty great, right? If you could do that, you would be ahead of the majority of people who are struggling financially. Because despite social media postings of new vehicles and dreamy vacations (hey, no judgement here! ), only 39% of Americans can comfortably cover a $1,000 emergency. Well what’s the solution? An emergency fund, of course! So do you have an emergency fund? Do you know how much you need in your emergency fund? 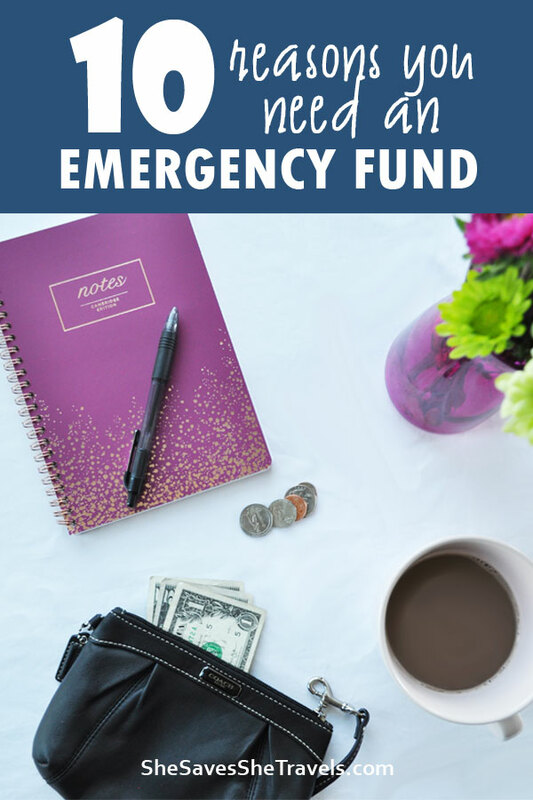 What is even the difference between just saving money and having an emergency fund? An emergency fund is money set aside specifically to be used as your fall-back in case of an emergency. It’s your safety net to help you keep going through life when something unexpected happens. 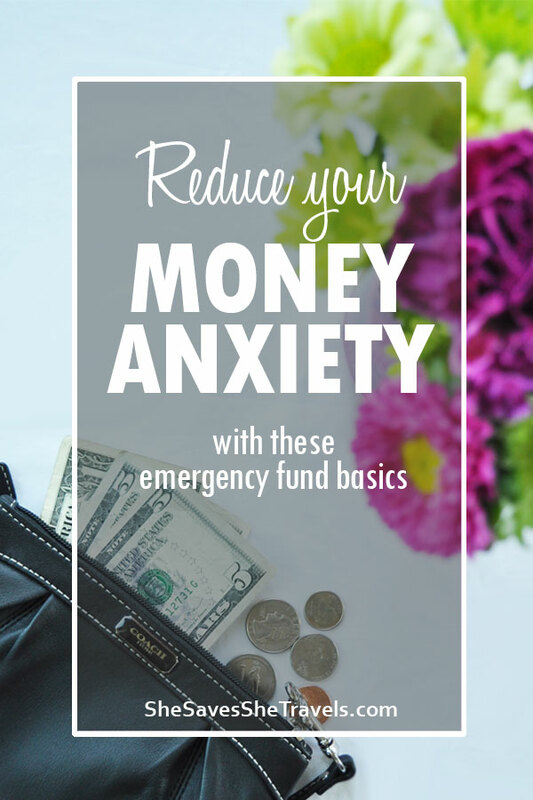 Emergency funds are typically separate from your other savings accounts and spending money. This allows you to designate that money for true emergencies. So if you’re saving money for an amazing island vacation, a new Apple Watch or a house, an emergency fund is a different stash of cash. And a good rule of budgeting is to establish, and fund, your emergency savings before you start saving money for the other, typically more fun stuff. 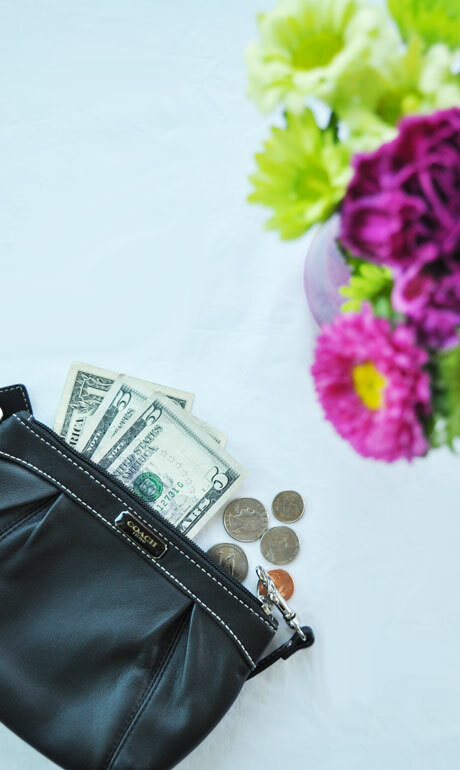 Having money set aside ‘just in case’ helps you stay out of debt when life happens. Because friends, we all know things don’t always go according to our plan! 1: It sets you up for success later. Having money specifically set aside for something unexpected allows you to reach for that cash when it happens. It prevents you from spending money on credit cards or getting a loan to cover any situation that arises. 2: It reduces your anxiety about money. You no longer have to worry about the ‘what if’ because you have this cushion of money that you can fall back on. 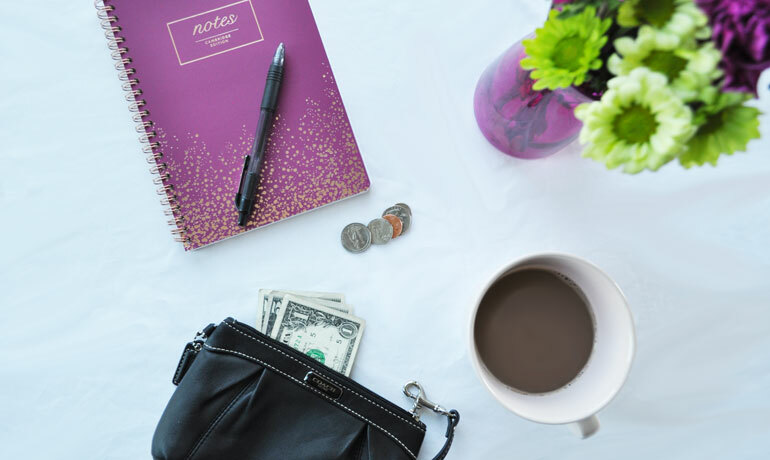 There’s a connection between anxiety and money, and a better savings buffer can help. 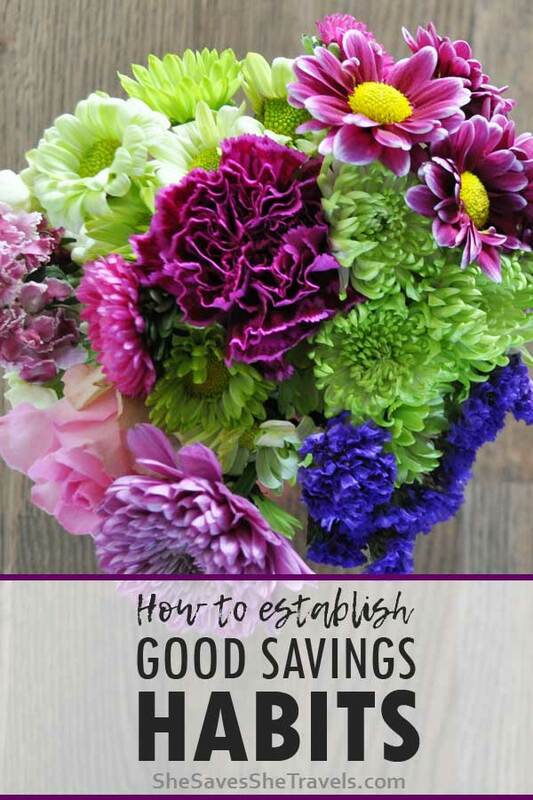 3: It helps to establish good savings habits. Building your emergency savings fund isn’t always easy, but it will help you get into a good savings routine. Whether you want to save money to travel the world (that’s me 😉 ), buy your next car without a loan or pay for your kids’ college, saving money is the key. Ahhh, saving money. Seems like everyone wants to save money for their next car, house, vacation, or other large expense. I’m always looking for new ways to save money for my next travel adventure. Right now I’m dreaming of the beautiful beaches of St. Croix and it’s not cheap! 1: Your car needs repairs. When your transmission goes out, you now have the cash on hand to pay for it. We all know car repairs can get really pricey, and you don’t want to be left stranded. 2: Your pet needs surgery. I’ve been there! Your pet is your family and caring for them can be expensive! You don’t want to have to make the decision to save your pet’s life or not because you don’t have the cash to pay for it. 3: You land your dream job! How exciting! Sometimes big career moves mean actual moves, like across the country. And that is expensive! Or they can also mean a cut in pay. But hey, money isn’t everything if you get to do what you love, right? 4: You lose your job. It’s hard to think that it can happen to you, but friends, it happens to well-qualified, hard-working people every day. Bosses change, positions get eliminated and companies relocate. Be prepared for it, but let’s hope it doesn’t happen to you. 5: You (or your partner) gets pregnant. After you celebrate, you’ll need to start paying for doctors visits, baby gear and everything else that comes with that little bundle of joy. Most of the time you’ll need to re-think your budget entirely with a new baby in the equation. But for now, you can just be happy you have an emergency fund to start with. 6: Your refrigerator goes out. I mean, have you ever lived without a working refrigerator? Me neither. So you’ll need to replace it as soon as possible. And they can be really expensive! 7: You have to pay in at tax time. Jobs change and life changes and sometimes we get surprises at tax time. I’ve been there! It’s no fun to have to pay Uncle Sam. But it happens so it’s nice to have that fund that you can dip into when you need it. 8: You get into a car accident and the other guy doesn’t have insurance. Yup, that happens too. While your health insurance may pick up the bill for medical costs, you’ll still have to pay your deductible for repairs. Or worse, a new vehicle. 9: Your living situation changes. Whether your house catches fire or you’re renting a room with friends and that falls through, unexpected things do happen, regardless of how much we plan. It’s way easier to create an impromptu back-up plan when you have money for this kind of thing. 10: You’re on a girls trip when you meet the love of your life, and it turns out he lives in Spain. So you’re packing your bags to move across the ocean to live a life better than you’ve ever dreamed of! Okay, this one is far fetched, but I hope you get the point! Life is unpredictable…sometimes for the better! 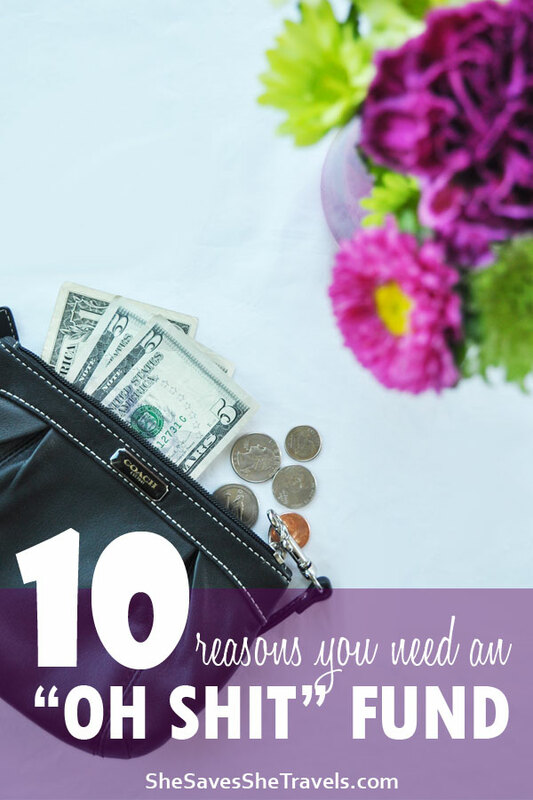 So friend, there are a bazillion reasons why you should have an emergency fund. My favorite? Because it feels gooooood to have that money sitting in the account, just hanging out until it’s needed. You hope you will never have to use it. But when it’s time, it’s so nice to have it. And I’ll be honest, when you have to use it, it’s not fun! But you will save to build it up and cross your fingers you won’t need it (again). So just how much money do you need in your emergency fund? How do you build one? Let’s dive into that in the next article of this two-part series: 6 Steps to Building Your Emergency Fund. Watch for it next week! What about you, have you started saving for emergencies yet? Thanks so much for this, I’ve been trying to drill this into my partner to save for any emergencies for years. That’s my strength but his weakness. I’ll send him this link.